Applications are open for the Ingenium Academy 2016! What a brilliant summer! 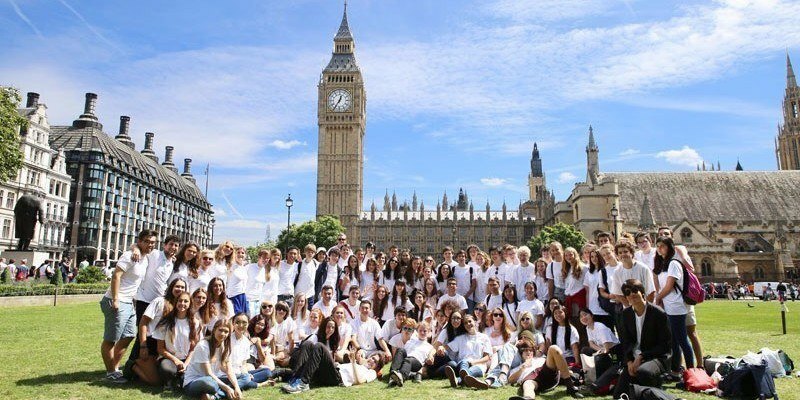 Ingenium 2015 was the biggest and most international yet with over 120 students from 37 different countries living and learning together, making incredible music and forming new, lasting friendships. We enjoyed a jam-packed three weeks with highlights including: orchestral coaching and individual tuition from members of the London Symphony Orchestra; a piano masterclass with the Royal College of Music's Andrew Zolinsky; saxophone quartets; jazz sessions; composition and conducting classes, the most JOYFUL afternoon of Gospel singing; brilliant beatboxing; barbecues, swing and ceilidh dancing nights; inspiring solo and chamber performances from our students at our internal Performance Platforms; fantastic trips to London, Bournemouth and Harry Potter World; and incredible concerts at St James' Piccadilly, London, Winchester College and Winchester Cathedral. Pictures from the 2015 course are available to view on the Gallery page. Ingenium 2016 promises to be bigger, better and even more musical than the last. Applications for our summer 2016 vocal, orchestral, piano and saxophone programmes are now open! We are also working on the launch of two brand new programmes for 2016 - a Composition Programme and a Conducting Programme. If you would like to receive more information on these courses or find out how to apply please register your interest here. Applications for the 3-week course received before 31 December 2015 will receive a discount of £200. One of the most iconic orchestral pieces of all time, this piece brought the forces of the choir and orchestra together in a large-scale symphonic work for the first time in history, and is full of joy (literally!) and energy - though if he'd been around today, we're quite sure Beethoven would have loved our Ingenium Academy choir-and-orchestra mashup of Janet Jackson and Stevie Wonder!